I have been asked this #'s of times and it's just too hard to explain so I took the time to make a "HOW TO" with pics. 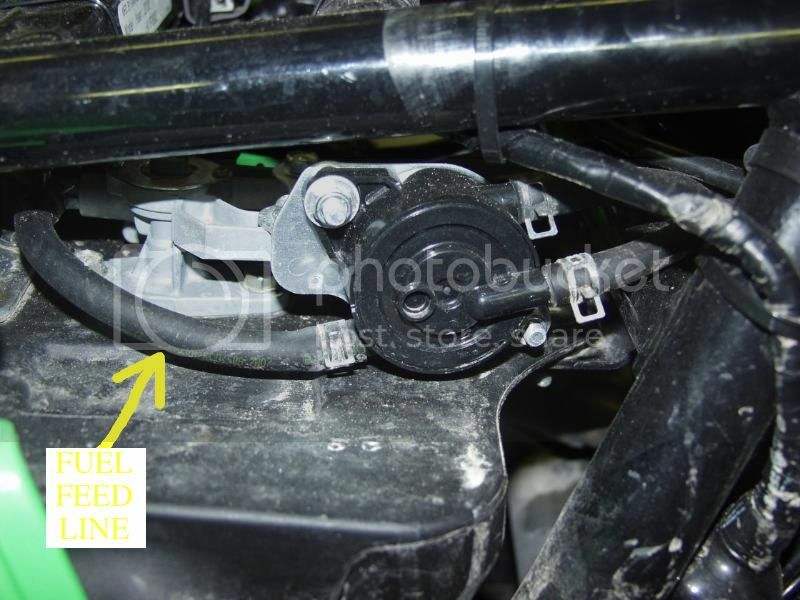 the Stock setup is not ideal for the Crossover intales as they use cylinder pulse to activate the fuel pump. 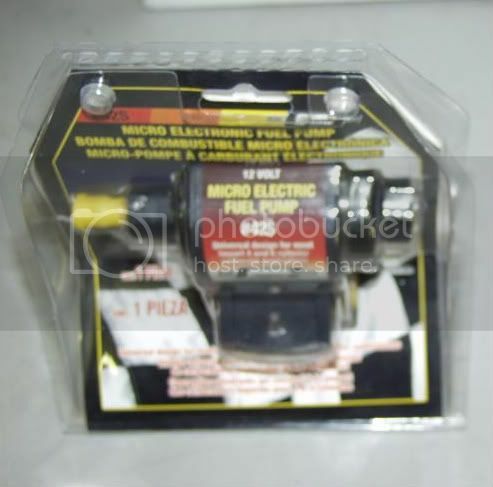 this is a reliable and proven way to fox kawasaki's non electric fuel pump that is Vacuum pulse operated. it's fairly easy. just follow the pictures. takes about 2 hours and costs about 35.00 to make it an electric pump system. 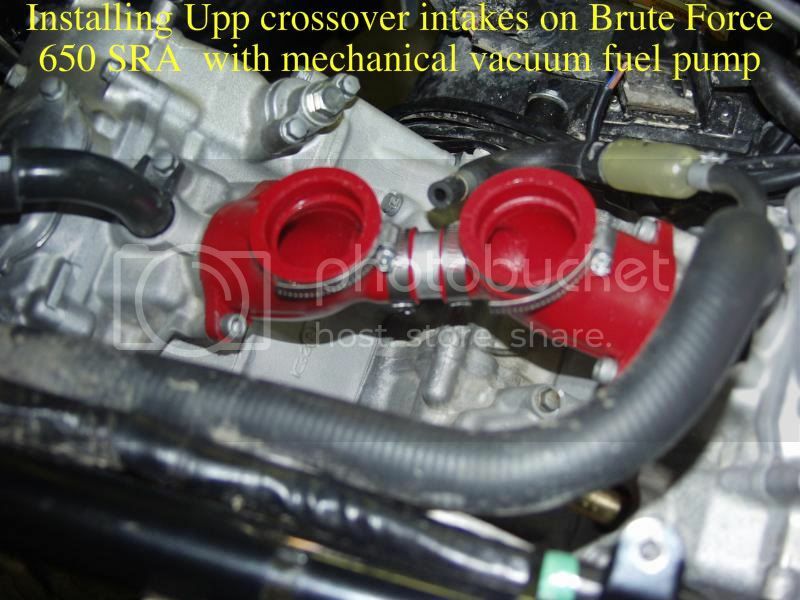 Remove stock intakes and vacuum lines. The allen cap screws are 5mm. there are 4 of them. install UPP intakes as shown. 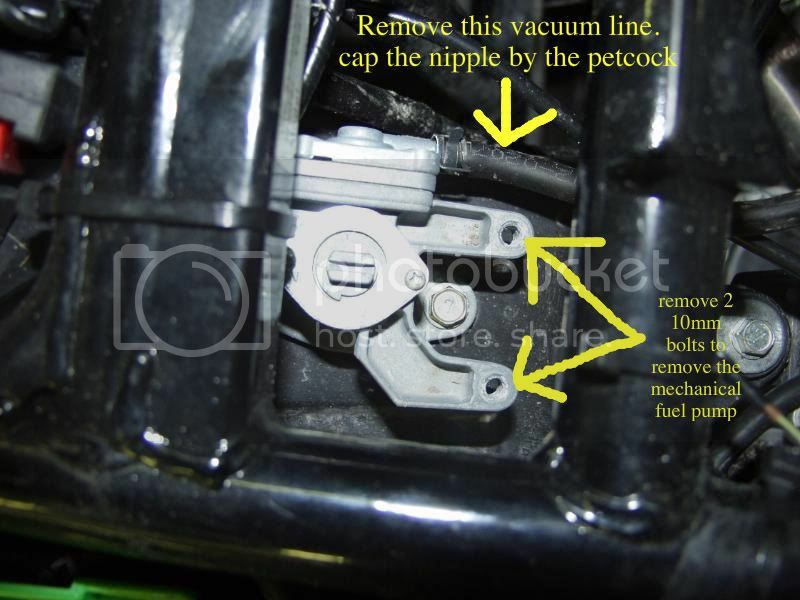 Identify the Mechanical fuel pump. this you will be removing. Leave the fuel line. this will supply fuel to the electric pump. 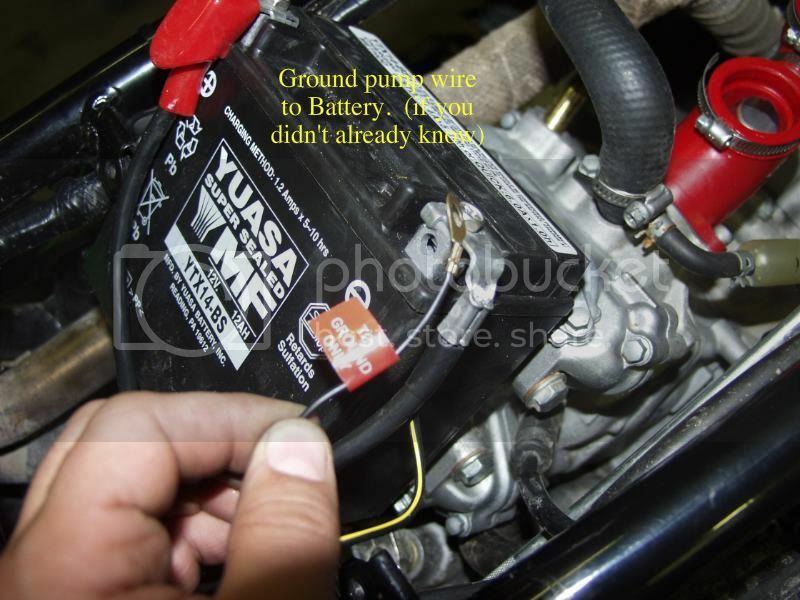 It is NOT NECESSARY to install the check valve if it came with your electric fuel pump. there is already one in the tank from the factory. 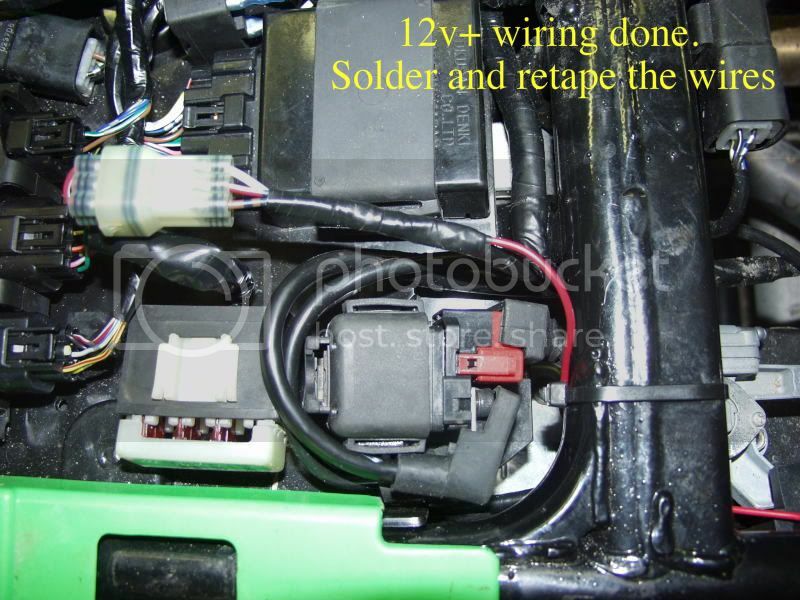 there's the electric fuel pump. they are about 35.00 from any autoparts store. it is a low PSI electric. I had installed the adjustable dial regulator (20.00) to go with it but the regulator failed after about 20 minuites, so I removed it and the pump is 3.5 PSI so it supplys fuel just fine without overpressurization of the carbs. just buy the pump. you will have to modify (grind) the mounting bracket for the pump. I just used a stone wheel on thebench grinder and removed the extra mounting tab from the fuel pump that sticks out. so the pump just uses 1 mounting tab. 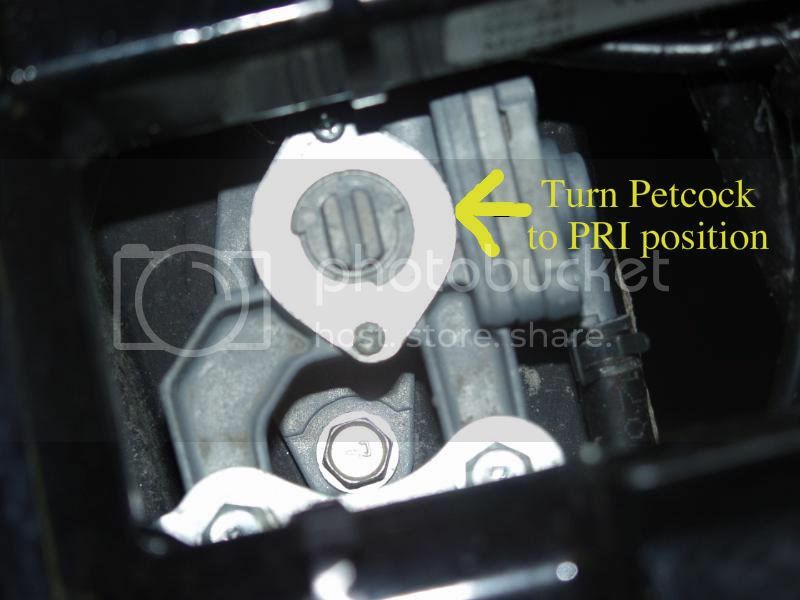 TURN THE PETCOCK TO PRI. IN THE PICTURE ABOVE IT IS IN THE ON POSITION. ON IS NOW THE OFF POSITION!! I used the original 10mm bolt that secured the stock pump to the petcock assy. it mounts the electric pump securely and it fits very nice in this spot. out of the way and easy access if need be. Wire in the 12v+ wire as shown. this way the pump is in a fused circuit that is easily accessable. 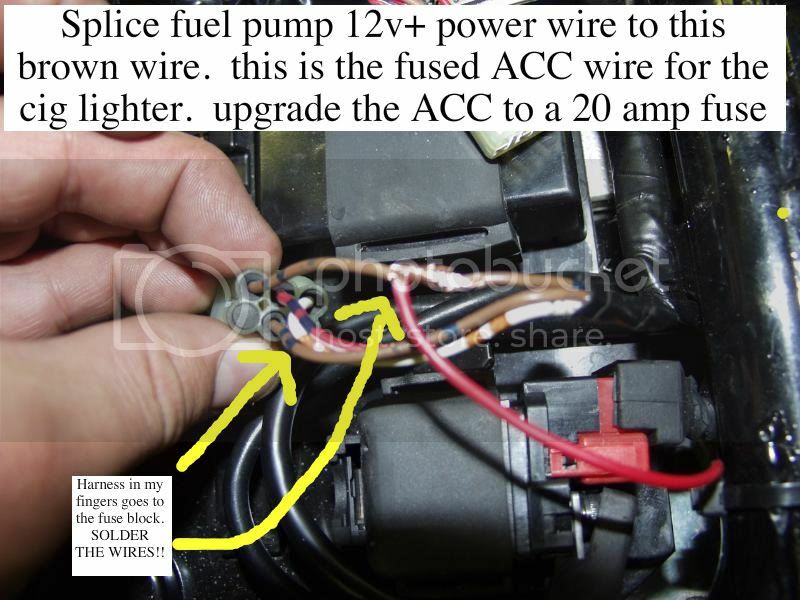 upgrade to a 20 amp fuse. although the 10 amp is more than enough. 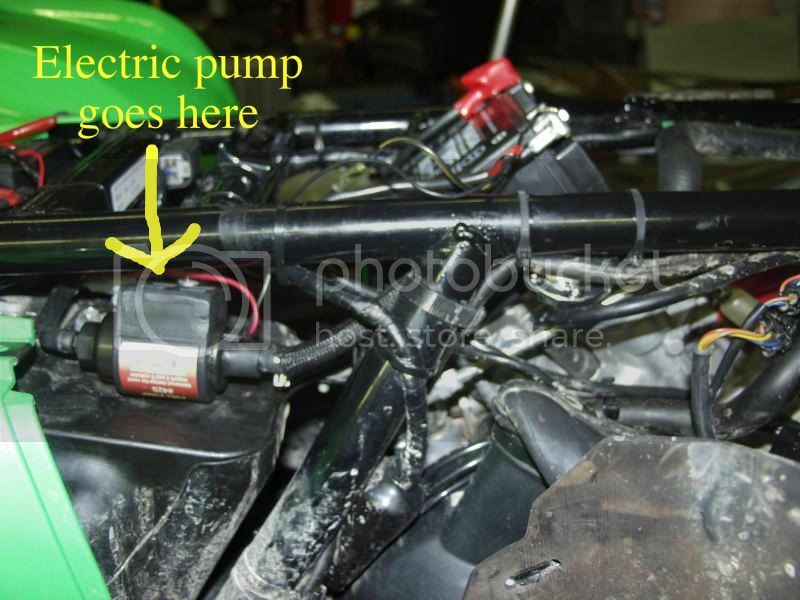 just for safety on the trail if you plug anything into the ACCESSORY outlet it won't blow the pump fuse. Tape the wires up after you SOLDER THE CONNECTION!! I prefer soldering to crimp on connections. 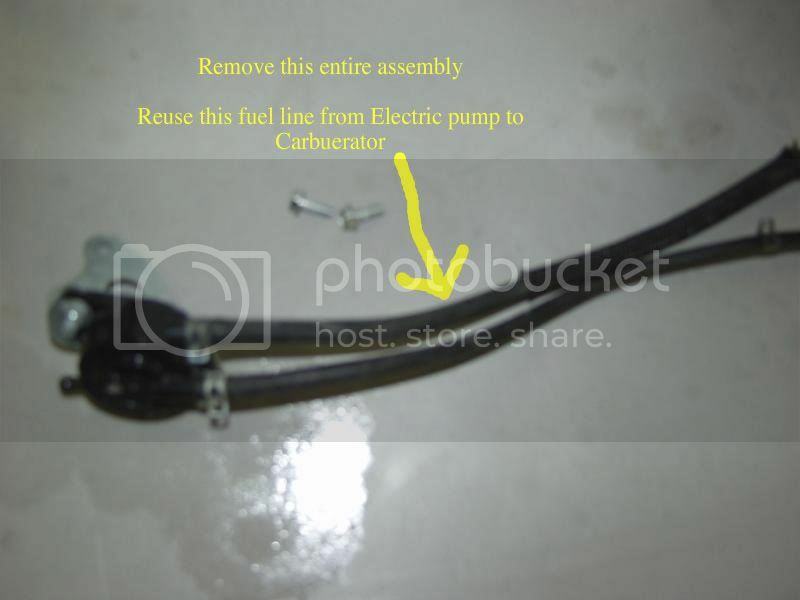 be sure the fuel lines all have a locking connector on them and it's ready to go. If I think of anything else I'll add it. Last edited by VFORCEJOHN; 06-08-2009 at 08:43 AM.